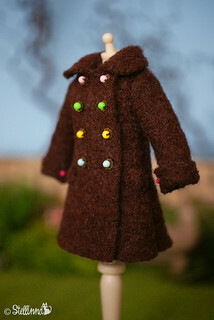 - a chesnut brown boiled wool double breasted coat, featuring multicolored flower buttons. The half-belt at the back and the sleeve cuffs have the same buttons, only tinier. It is tagged and fastens with tiny snaps. 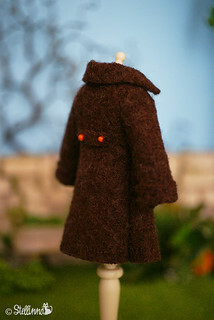 This coat will not be remade with this color combination. 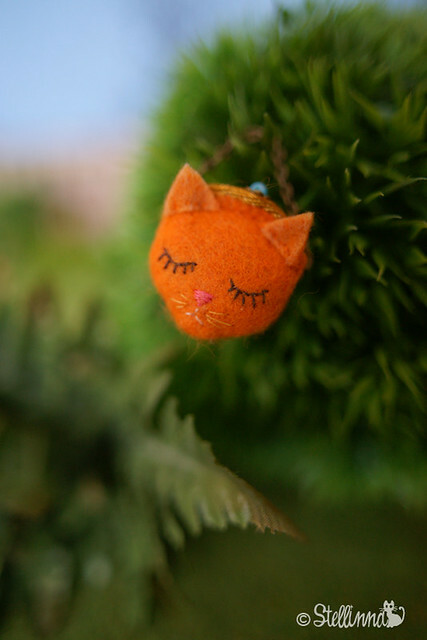 - and last but not least, a tiny "pet purse" made of ginger pure wool felt with a tiny brass handle. 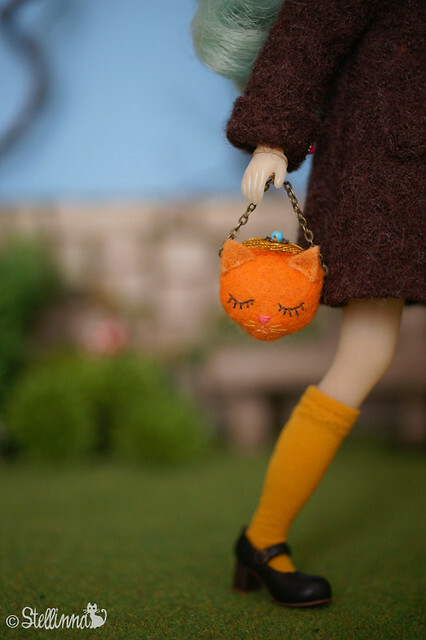 Just like my usual kiss lock style tiny purses for dolls but this time with an embroidered sleepy kitty face, it has a flower clasp matching the coat buttons. 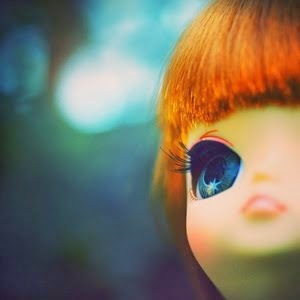 The coat will fit both Licca and Takara Blythe bodies, as well as Dal and JerryBerry dolls. Please note that all the proceeds of this sale will be given to Handi'cats. Handi'cats is a French non profit animal welfare association. They rescue, take care, foster and rehome ill, injured and handicapped cats (and some dogs too). They are less likely to be saved or adopted so they need even more help. Ebay.com charity policy is very strict and fundraising can only be made if the organization is listed in their nonprofit directory. 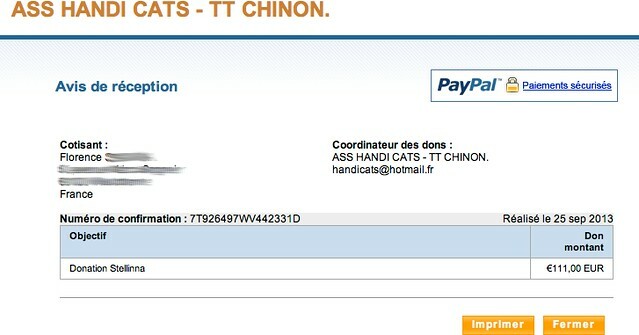 Since Handi'cats is a French organization, it is not part of ebay.com directory so those details are not included in the auction description. I will fully cover ebay & paypal fees and will provide a receipt of the donation after auction end. Meow & Thank you ! The auction is now over and I would like to thank each and everyone who participated and made this possible. You will find below the conversion rate used (as the money had to be sent in Euro currency) as well as the receipt of the donation.